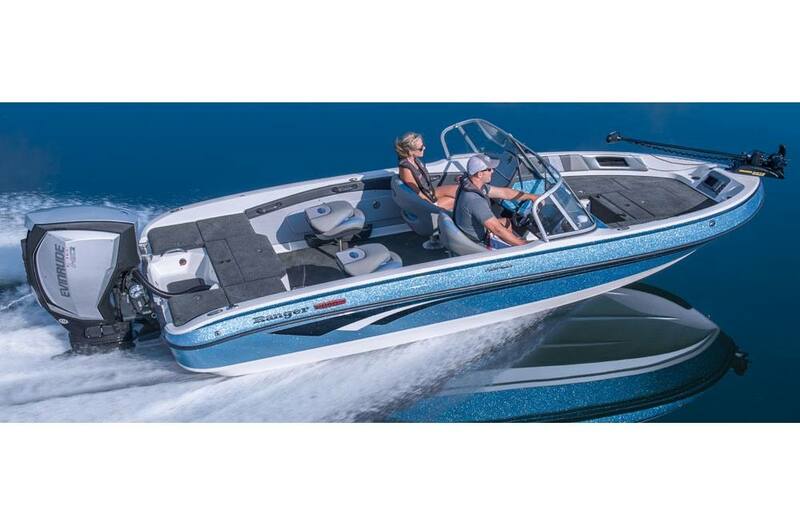 Touting an ultra-versatile design, the 2050LS is geared to maximize your fun on the water. Rated for a maximum 250 horsepower and equipped with a 42 gallon fuel capacity, the 2050 makes easy work of long runs. 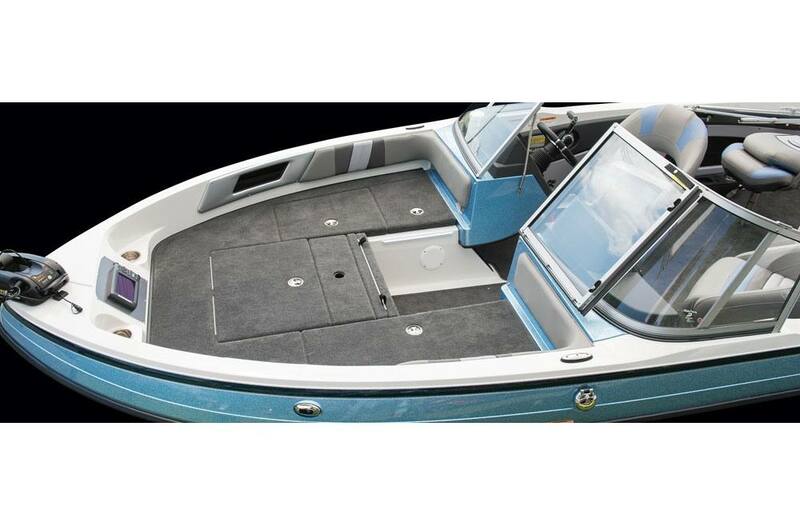 A broad 96" beam provides an extremely stable fishing platform as well as a smooth, dry ride. The front deck houses oversized storage boxes, a cooler, an aerated baitwell along with the convenience of a folding deck extension. 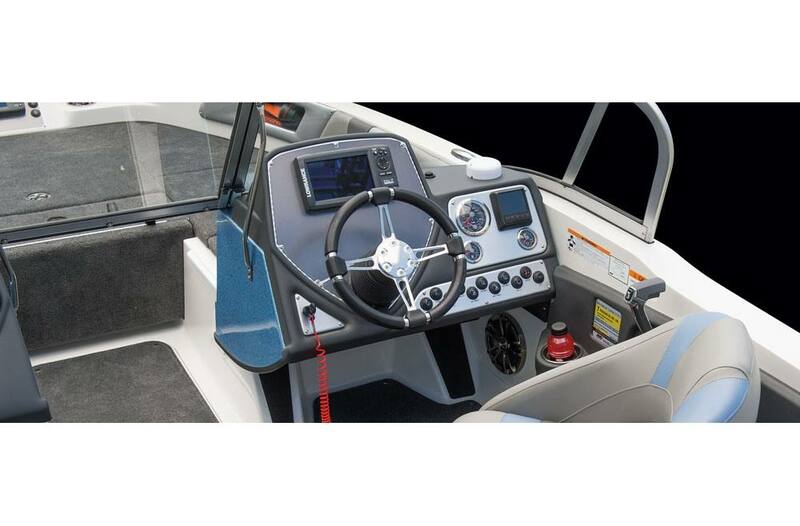 The driver's console is engineered for even larger flush-mounted electronics while the passenger console includes a large glove box and drop-down integrated tackle storage. 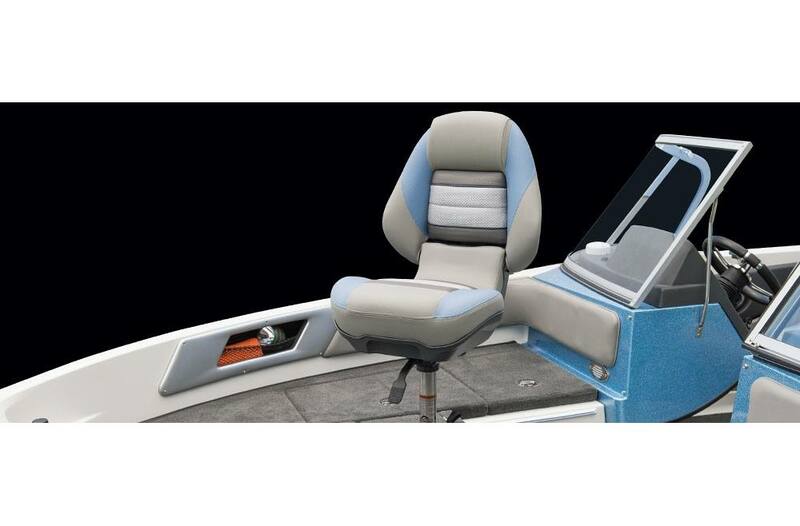 Continuing its long list of advantages, the 2050 comes with Lowrance® electronics, a Minn Kota® trolling motor, snap-in carpet, a recirculating, aerated livewell, and a full-featured marine stereo system. Combined with an available canvas top, kicker engine and ski tow, this design is ideal for big families and big water alike. The 2050 Reata®. Taking some well-deserved time off is now even more exciting. 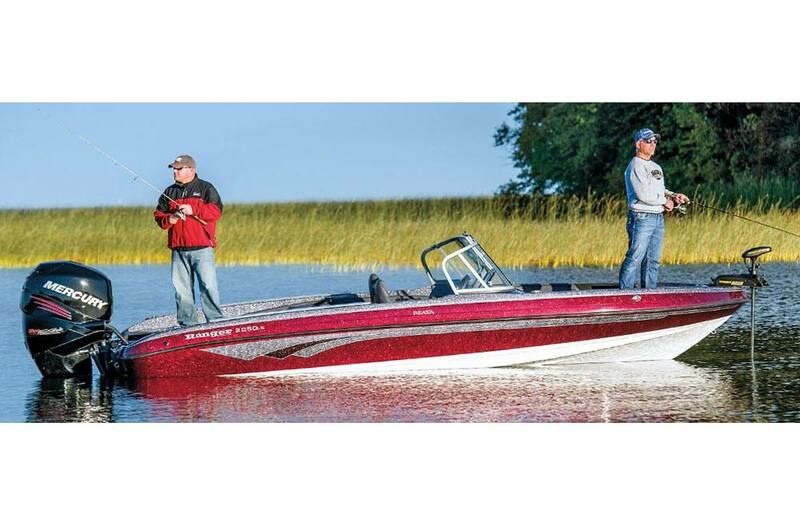 Capacities - Hull Length: 20' 5"
Capacities - Inside Depth: 26"
Capacities - Fuel Capacity: 42 gal. Capacities - Livewell Capacity: 21, 8 gal. Capacities - Total Persons, Motor, Gear: 1800 lbs. Capacities - Approximate Boat Weight: 2175 lbs. Rod Box Lengths** - Center: (4) 7' 6"
Trailer - Trailer GVWR: 5400 lbs. Trailer - Approx. Length on Trailer w/Motor Down***: 25' 5"
Trailer - Approx. Length on Trailer w/Swing Away Tongue Open***: 23' 5"